The ‘Anatomy of the Ship’ series was first published by Conway (an imprint of Anova Books) in hardback a few years back and I snatched up (and still regularly consult) all of the excellent Age of Sail titles, particularly the HMS Victory ‘Anatomy’ but also ‘Diana’ the frigate, ‘Alert’ the cutter and many others. These are really first class productions and in my opinion are the last word on layout and rigging of these fine ships. The series also encompasses some of the iconic vessels of the Age of Steam, providing a fascinating insight into ship development in the twentieth century. What makes this whole series special is the unparalleled attention to detail in the superb line drawings and ship plans. 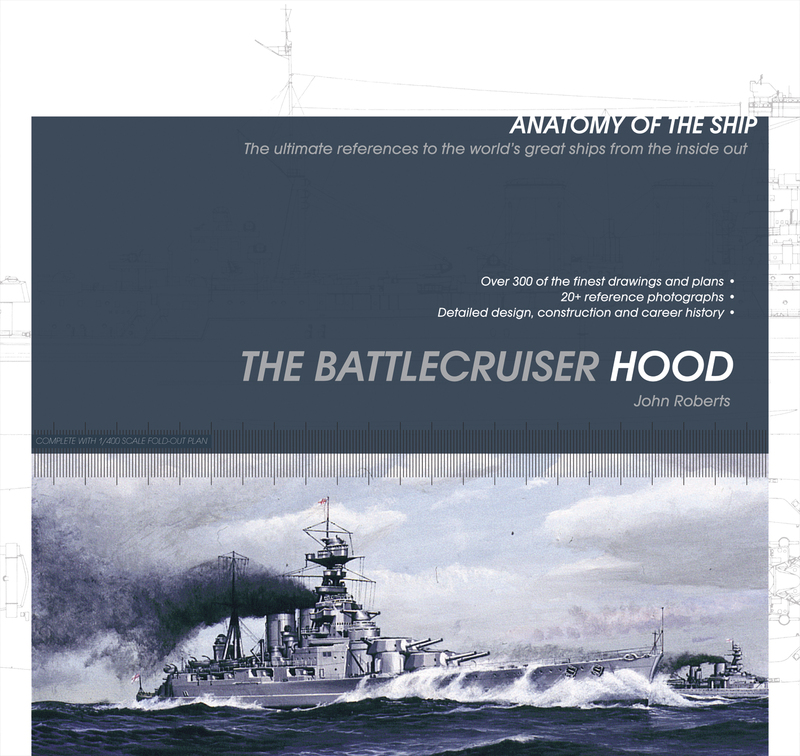 Conway is re-releasing the Anatomy of the Ship titles in paperback editions, with text revisions along with large scale plans on the reverse cover. The first two out are ‘The Battleship Dreadnought’ and ‘The Battlecruiser Hood’. 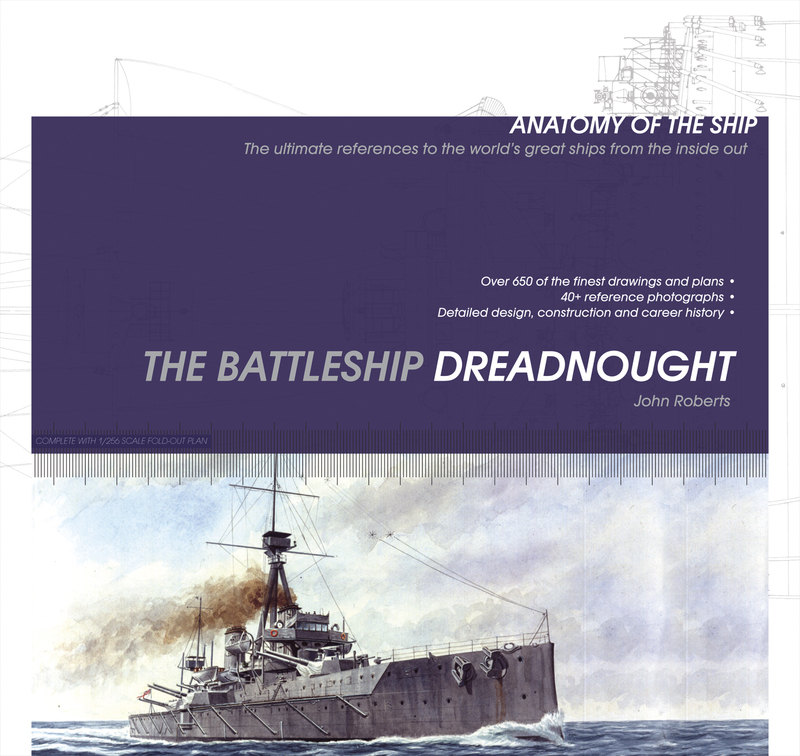 Dreadnought was built at Portsmouth in 14 months, a record that has never been equalled! She gave her name to a class of ship that dominated the seas for more than a generation. Hood became one of the most recognisable symbols of the Royal Navy; her destruction in 1941 shocked a nation. The author of these two volumes, John Roberts, is widely recognized for his contributions to warship literature. He was editor of ‘Warship’ for six years and is the co-author of the standard works on British battleships and cruisers of the Second World War period.